Spring isn’t too far away. There’s lots to be getting on with and you can learn more at our events. 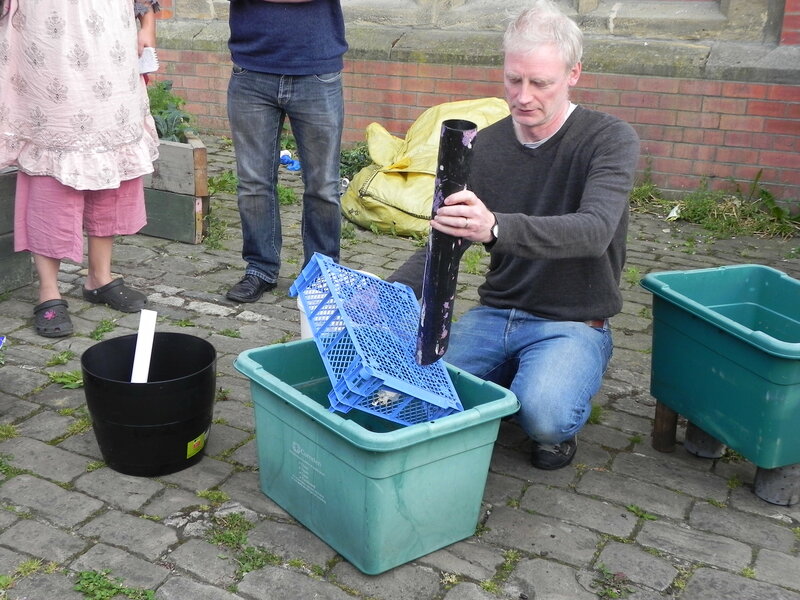 Look out for our composting special at the Thackray Museum at the end of February. 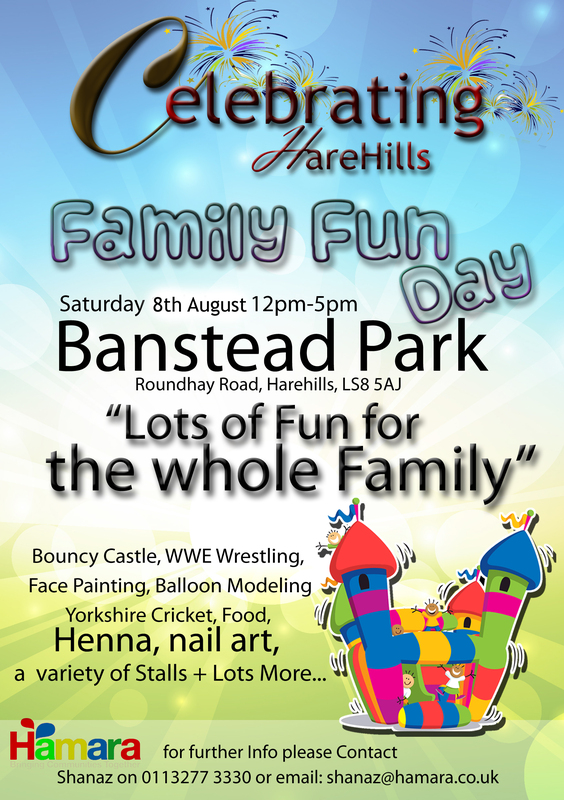 Click on the link below to find out more and book a FREE ticket. We were extremely saddened to hear about the loss of Joe Maiden. Joe had been a great supporter of our project since the beginning and we were honoured to have him come and inspire us in the past and at the start of this growing season. He didn’t have to come and deliver this training but he did and shared not only his vast knowledge and experience, but also his passion and personal memories, drawing everyone into his world. We send our sympathies to Betty and family, as well as Tim and the team at Tim and Joe at BBC radio Leeds. Come along to Thackary Medical Museum tomorrow and join the Back to Front team to have a go at food growing, answer your food growing queries and sign up to the project. Back to Front Growing Mentors Workshop. On Tuesday 16th June we hosted Mark Ridsdill Smith from Vertical Veg who ran a workshop for registered Back to Front growers and mentors. 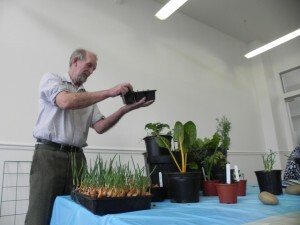 It was a fantastic event and all the growers that attended learnt a lot. 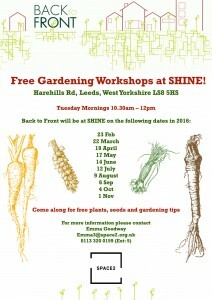 Have a look at the Vertical Veg website for more information. Some people dream of making it big on X Factor. Our fantasies about fame are much less ambitious. 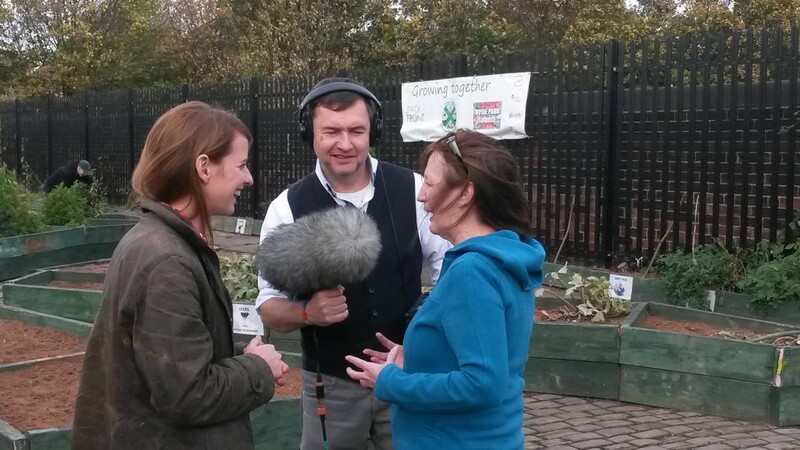 All we’ve ever wanted to do is be on Gardeners’ Question Time on BBC Radio 4. Towards the end of 2014, our dream came true (which, sadly, is not something many X Factor contestants get to say). Gardeners’ Question Time (GQT for ease of weary typing fingers) was first broadcast in 1947 and has a long and honourable history of being the gardeners’ go-to gardening programme. 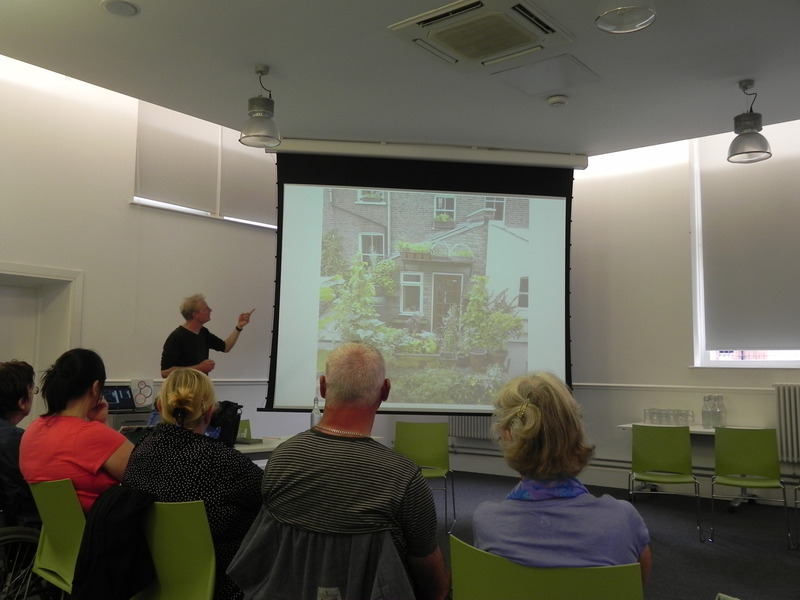 We’ve written before about all the hard work that went in to make the GQT visit to Back to Front a success. There’s a lovely feature about Back to Front in the middle of programme, featuring interviews with lots of participants and volunteers. 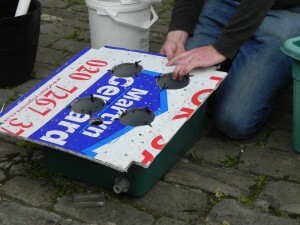 It explains why the project was started, how it’s progressing and its impact on local communities. We’re thrilled with it – if we could frame it, we would! – and delighted to share it here. Even if you don’t have a garden, it’s still worth a listen. 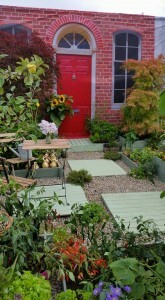 There are also some great tips on growing food in small spaces and in raised beds. *The mosaic in the picture was created by Hyde Park Source and Cross Green Community Group, our partners on the Fewston Bridge community garden. It now sits proudly at the entrance to the garden, send a lovely message to us all. ‘Growing Together’ – long may it continue. 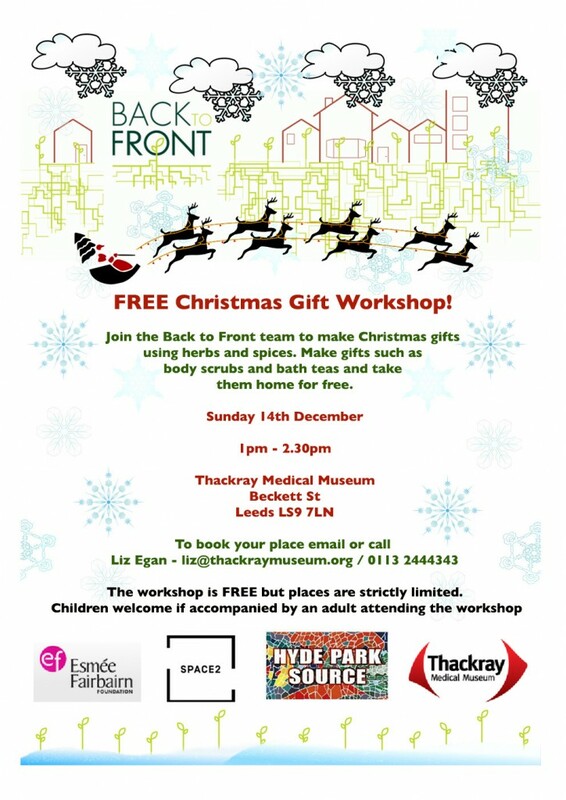 Join the Back to Front team for a FREE Christmas Gift Workshop at Thackray Medical Museum. Participants will learn about the health benefits of different herbs and there’ll be chance to make gifts like body scrubs and bath teas to take home. Booking is essential. 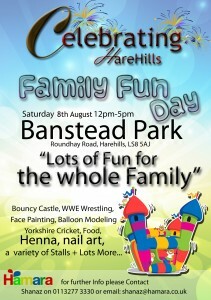 Date, time and booking details above. How do you know your gardening project is doing well? We’d say it’s when the most famous gardening show in Britain comes to visit! Back to Front was delighted to host the much-loved BBC Radio 4 programme, Gardeners’ Question Time recently. As ever with events like this, there was a huge amount of work behind the scenes to create what looked like an effortless evening. I won’t bore you with the details but let’s just say it didn’t happen overnight… All the effort put in really paid off though. 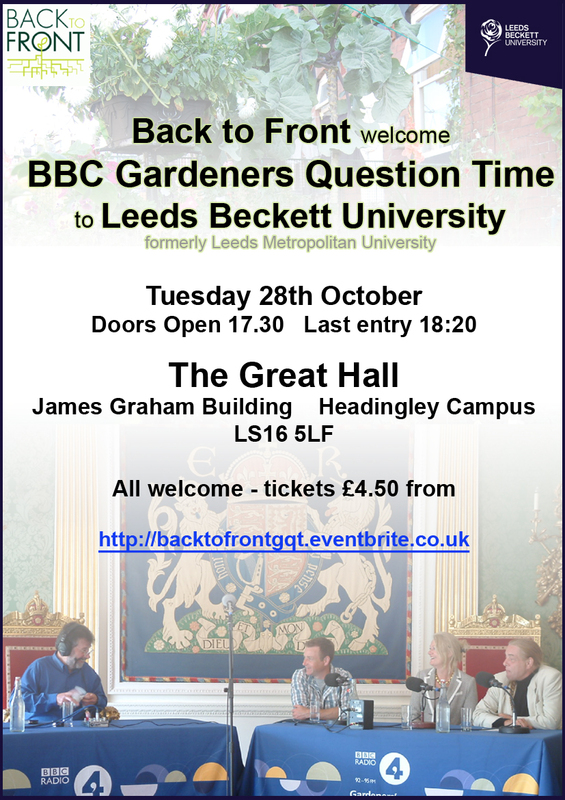 Back to Front is delighted to be playing host to the legendary BBC Gardeners’ Question Time programme on 28th October. 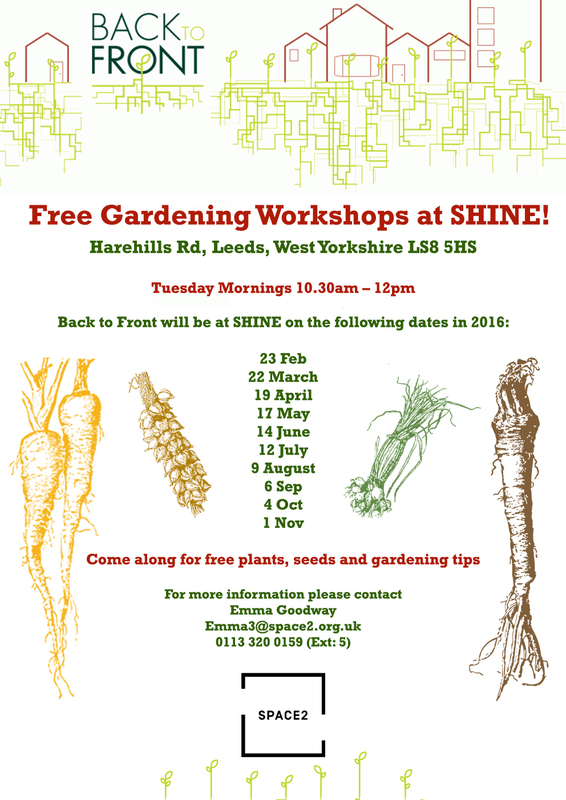 This is a great coup for our community garden project and we’d love you to join us. The GQT panel of experts will be answering your gardening questions, so please write yours on your printed ticket and bring it along with you.